Don’t be afraid to throw away your words. They’re not sacrosanct. Don’t be afraid to throw out your early pages. When writing many of my non-fiction books including AK-47: The Weapon that Changed the Face of War and Cults That Kill: Probing the Underworld of Occult Crime, I generally threw out the first 50 or so pages during rewrites. It takes a while to get your writing motor running, to find your voice, which can change depending upon the book you’re writing. For me, the process takes about 50 pages. Some fiction writers swear that it takes them 100 pages before they hit the proper voice. 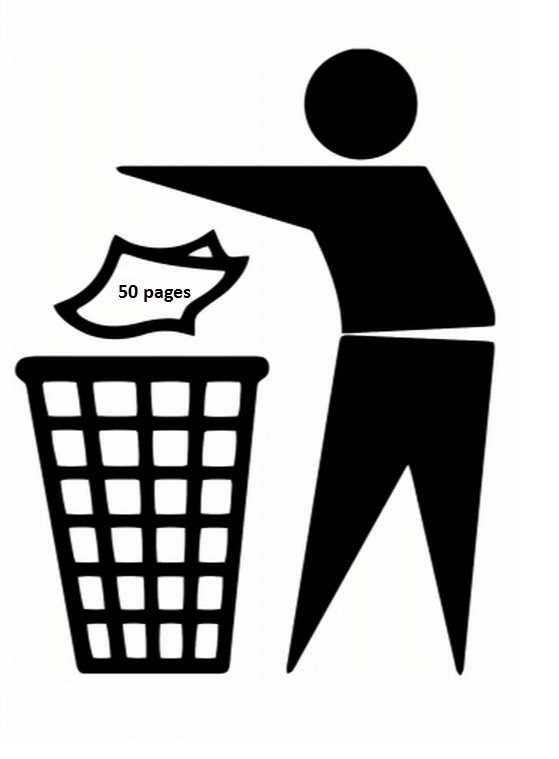 These first hundred pages then get tossed in the trash. Rest assured that this is normal. I like to think of voice as having two components. The first is the author’s style. It’s who you are, your personality, the way you see the world. Are you a serious person or a wise aleck? Clever or subtle? Upbeat or a downer? These traits are reflected in how you write. They belong to you, so own them. This voice generally stays the same but can change somewhat based on what you’re writing. When I write serious non-fiction, one side of my personality shows through, the journalistic, down-to-earth side. When I write novels, my less serious side shows through. However, my basic writing style – which I define as accessible, easy to understand and ‘talk-directly-to-the-reader’ – is always the same. That’s who I am as a writer. The second meaning of voice is the speech, tempo and chosen words of the narrator. Is the dialogue long-winded or fast-paced? Do the words fit the time frame and environment? Is the narrator convincing? Does the dialogue sound true? In most cases, the first kind of voice generally stays the same – with mild exceptions – because it’s you. The second will change with the story. Now, back to finding your book’s voice. My method (and that of many writers I know) is to let the draft sit for a while, as long as several weeks or a month. When you come back to it, it’s as if you’re seeing it for the first time. Now, instead of reading it as the writer, you’re reading it as a reader. Trust your instincts and your first reactions to the book. Be honest and objective. Keep your ego in check. It may sound trite but ask yourself: Is the book true to who I am, what I want to say and how I want to say it? If You Insist on Having Writer’s Block, Here’s Help. I don’t believe in writer’s block. Never did. 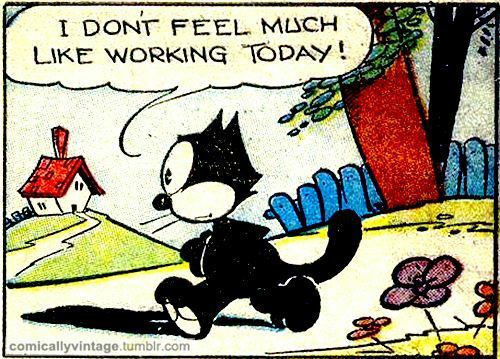 Of course, there are days when I just don’t feel like working but it’s not because I’m a writer. It’s because I don’t feel like working. Period. I’m tired, I’m sick, I’m bored, I’m distracted…whatever. As I’ve said hundreds of times before: “Do plumbers have plumber’s block? Do doctors have doctor’s block?” No. There are no such things, so why do writers think they’re special? I’m not going to answer that now. Instead, I’m going to help those who actually believe there is such a thing as writer’s block, but I’m going to call it “I-just-don’t-feel-like-working-today-but-it’s-not-because-I’m-a-writer syndrome. 1 – Set a time limit. I say to myself that I only have to work for 15 minutes but I have to write something. After that, I can stop. This works amazingly well because your brain sees an end to a difficult task so it’s okay with getting started. What always happens, and I mean always, is that I get on a roll and keep going. This works great for non-writing jobs, too. 2 – Jump in the middle. Sometimes I don’t have a clear notion about what I’m supposed to write now so I sit idle. By writing what I do know – even if it’s not the main idea or where I’m at in the story – it gives me some wordage. For example, write a scene that takes place a few pages or even a few chapters to come. Hooray, you’re writing. 3 – I think of the saying by Michael Kanin who co-wrote the Katharine Hepburn-Spencer Tracy film comedy Woman of the Year: “I don’t like to write, but I love to have written.” Actually, I love to write but I love to have written even more. It’s called delayed gratification, and it’s part of being a grownup.